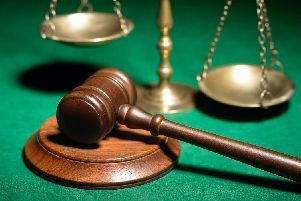 A 45-year-old man is to stand trial in July after allegedly attacking a Mixenden father-of-one with a sword three months ago. Mark Thomas Patrick Ryan, of Brow Bottom Lane, Mixenden, pleaded not guilty to wounding 37-year-old Stuart Sinclair with intent to do him grievous bodily harm and having an offensive weapon, namely a sword, in Stanningley Road on February 21. During a hearing at Bradford Crown Court today (Monday) Ryan’s trial was fixed to start on Monday, July 13 and it is expected to last up to six days. Ryan’s conditional bail was extended until his trial. In February it was reported that Mr Sinclair, a Mixenden United footballer, had to be taken to Leeds General Infirmary following the alleged attack.